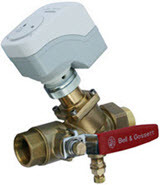 Bell & Gossett Temp Setter thermostatic balance valves automatically control the set minimum temperature of the fluid that circulates through your domestic hot water system, ensuring thermal balance throughout the system. 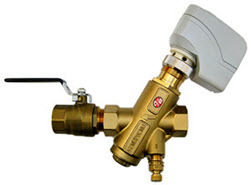 The desired minimum fluid temperature can be set using the valve’s stepless GPM dial (available in either °F or °C ). The valve’s internal wax actuator element expands to restrict flow and constricts to increase flow in response to downstream temperature changes. 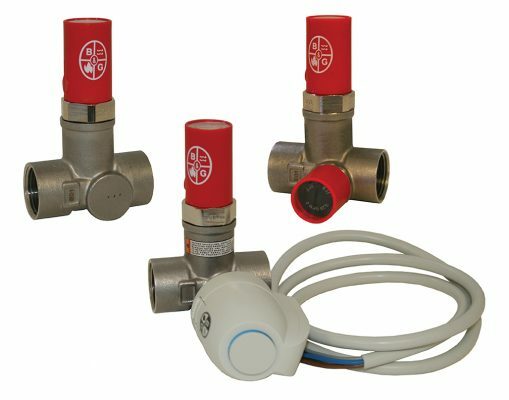 For systems utilizing thermal bacteria disinfection Temp Setter valves are available with optional bypass, either manual or actuated, that is independent of the internal wax element. The constant flow of high temperature fluid eradicates bacterial problems such as Legionella. 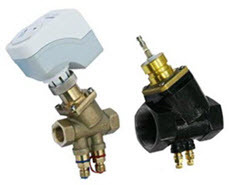 Temp Setter thermostatic balance valves are available in 1/2” and 3/4″ sizes and can be set for temperatures from 98°F (37°C) to 150°F (66°C). 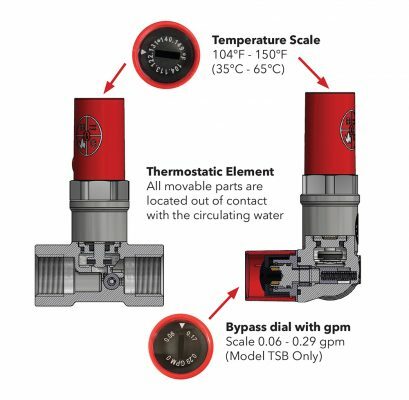 The bypass flow can be set for flows from 0.06 to 0.29 GPM, and features a GPM dial to make setting the flow simple and easy. 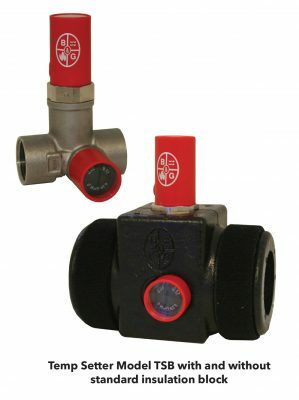 All Temp Setter valves come standard with an insulation block and velcro connecting straps.